These awards are presented to vessels, vessel operators, individuals and organisations that have made a significant contribution to sail training. The winners are decided by an STI awards committee and will be announced at the International Sail Training and Tall Ships Conference. 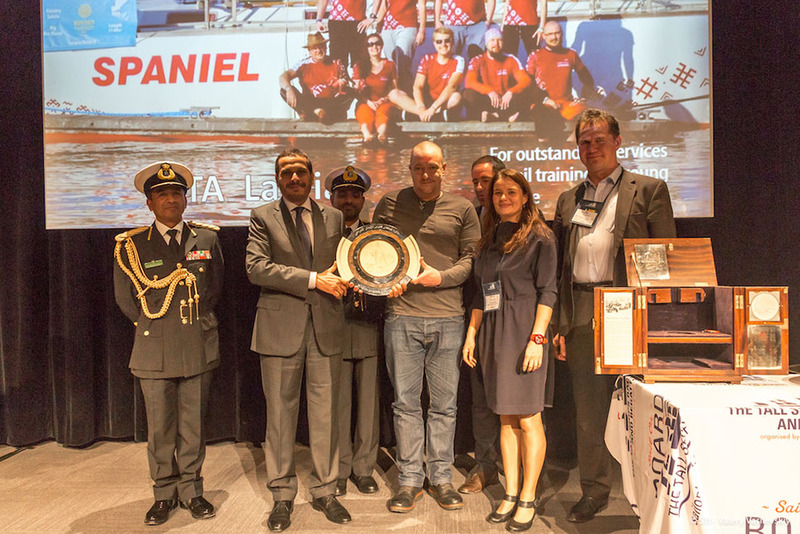 Following its launch at The Tall Ships Races 2011, the Sultan Qaboos Sailing Trophy was presented for the first time at Sail Training International’s annual conference in Toulon to an individual, vessel operator or sail training organisation for outstanding services to young people in sail training. The new prestige trophy marks a partnership between Sail Training International and the Sultanate of Oman demonstrating a commitment to sail training and youth development. In addition to the trophy, a bursary scheme has been established to support young people. Awarded to sail training organisation that has demonstrated excellence in ‘innovation’ and ‘best practice’ in sail training for young people. Awarded to a professional sail trainer to encourage and recognise high-performing individuals who deliver the sail training programme for young people at sea. Awarded to a young professional sail trainer to encourage and recognise high-performing individuals who deliver the sail training programme for young people at sea. Awarded to a volunteer in the sail training movement who has made an extraordinary contribution to the organisation they serve through their skills, talent, time and dedication. Awarded to a volunteer under 26 years of age in the sail training movement who has made an extraordinary contribution to the organisation they serve through their skills, talent, time and dedication. Awarded to the ship that has covered the greatest distance in any period of 124 hours. Awarded to an organisation, port or individual for outstanding services to sail training.